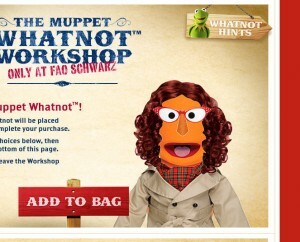 I read on Heather Ross’s Journal that she built a custom Muppet for her husband as a gift. I’m now obsessed with that idea, so I’ve been playing on the site designing myself in Muppet form. I. Want. This. It is just…Jackalicious.